Made for matching each other. The PARIZ system concept from NOVA. When developing the PARIZ system concept, our engineers and technology partners have created not only a new loudspeaker system. Hand in hand with world´s leading suppliers and international top specialists, they engineered an integrated sound reinforcement system, which is much more than just a combination of components. Every single part was selected and tuned to each other like perfectly interlocking gears. Whether in acoustics, mechanics, electronics or software: PARIZ was constructed as a whole system concept, which combines the ease of use via remote control interfaces and perfectly constructed rigging with maximum of performance and sonic clarity. 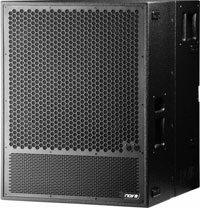 It is designed for most flexible sound reinforcement applications, from basic setups for conferences up to world format live shows, even at most advanced acoustic challenges. the total liberty for any acoustic mission possible.